We understand that managing your finances in Michigan can be an intimidating task. After all, not knowing about financial alternatives such as credit unions can limit your choices when deciding on a financial institution in your local area. 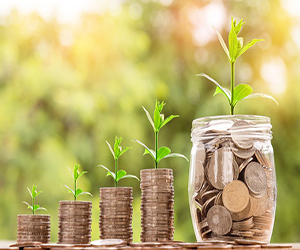 Whether you’re a student applying for a loan or a company looking to grow your business, Kalsee Credit Union in Michigan can walk you through the steps to your financial success. Visit us today. At Kalsee Credit Union, we deliver on our motto of “Our Family Serving Yours”. From opening your free checking account to applying for loans with us, we tailor our services to your needs. If you want to join the most trustworthy credit union in Michigan, our office assures you exceptional member-focused services that put a paramount value on your interest and goals. Kalsee Credit Union offers incredibly easy membership. One of our priorities as your partner in Personal Financial Success is giving you the best alternative to big financial institutions. At Kalsee Credit Union, anyone could qualify for membership with minimal requirements. To find out more, visit us in Michigan today. Kalsee Credit Union offers free checking accounts. You do not have to suffer through the higher fees of major financial institutions. Our free checking account makes sure that our members do not have to pay monthly service fees and maintain a minimum balance. This, among many other benefits, is Kalsee Credit Union’s way of giving back to the community. Kalsee Credit Union offers higher interest rates on deposit accounts. If you are conflicted between choosing your local Michigan financial institution or us, it can be helpful to know that our services pay higher interest rates on savings and checking accounts. The earlier you open your deposit account with us, the sooner you can take advantage of this. Kalsee Credit Union offers lower rates on loans. As a nonprofit institution, our earnings are returned to members in the form of lower interest rates, lower qualifying standards for loans, and in some cases, lower average prices for some of our loan types. To know for sure, contact our Michigan branch today. Kalsee Credit Union offers perks for your accounts and loans. The more you use us, the more points you earn. Finances have never been more fun with VIP, Platinum, Gold, and Basic rewards from the points you scored. Do not miss out and take advantage of these perks in your online account. Kalsee Credit Union offers financial guidance with Aspire Financial Counseling. Through budgeting and credit education, we give you the resources to reach your goals by assisting you with financial planning. Our Aspire Financial Counselors in Michigan put an emphasis on helping you take control of your finances and making sure that you are never alone in your financial hardships. Click here to view our frequently asked questions about banking in Battle Creek. Battle creek bank and banking for residents of battle creek..
By opening an account, you can be part of our family of more than 20,000 satisfied members. When you open your credit union account with us, you can choose from several options—Business Banking, Checking Account, Savings Account, Health Savings Account, or Youth Account. In addition, we make sure that we do not just meet your financial needs but also give you points that are convertible to perks you can enjoy. Through our online system, you can stay connected anytime at any place. Waiting in the queue can be time-consuming. Skip the lines and access your credit union accounts online through our It’s Me 247 free Online Banking. At Kalsee Credit Union, we provide you with the convenience of checking your balances, transferring money, making loan payments, and being up to date with your finances around the clock. In just 10 minutes, you can complete your loan or credit card online application. Unlike major credit card issuers, loan and credit card applications through our website can be done instantly. We know that life can be unpredictable, so we make sure to simplify the process for you as you face your financial hurdles head-on. With our experienced mortgage professionals, owning your dream home can be within your fingertips. Your peace of mind in buying a home is of utmost importance to us. After all, it is a major life decision that could be difficult for first-time homebuyers. Here at Kalsee Credit Union, our experienced officers are dedicated to giving you the personal attention you need in this emotional journey. Visit our user-friendly mortgage website now. We exist with one goal—to give you quality service for all your financial needs without the feel of big financial institutions. Our team of professionals will respond and even coach you through life’s financial obstacles when you need it and how you want it, from checking and savings accounts to loans and financial counseling. At Kalsee Credit Union, we are partners because you are not just a customer—you are an owner. Learn more about banking and how bank work here. If you are looking for a financial institution that you can trust like no other in the Michigan area, be a part of our growing family in Kalsee Credit Union and open an account with us. Choose from our wide selection of the best services for very affordable fees. Find out how you can start your journey toward Personal Financial Success today. Click here to view our banking story and our history in Battle Creek.